The Perfect Backdrops - Cherry Colors - Cosmetics Heaven! When you're starting a with your Youtube Channel or you've decided to become a photographer you need some pretty backdrops. You can actually find a dozen of stores that sell just that but sadly most of them are really expensive. Well, not ShopBackDrop! 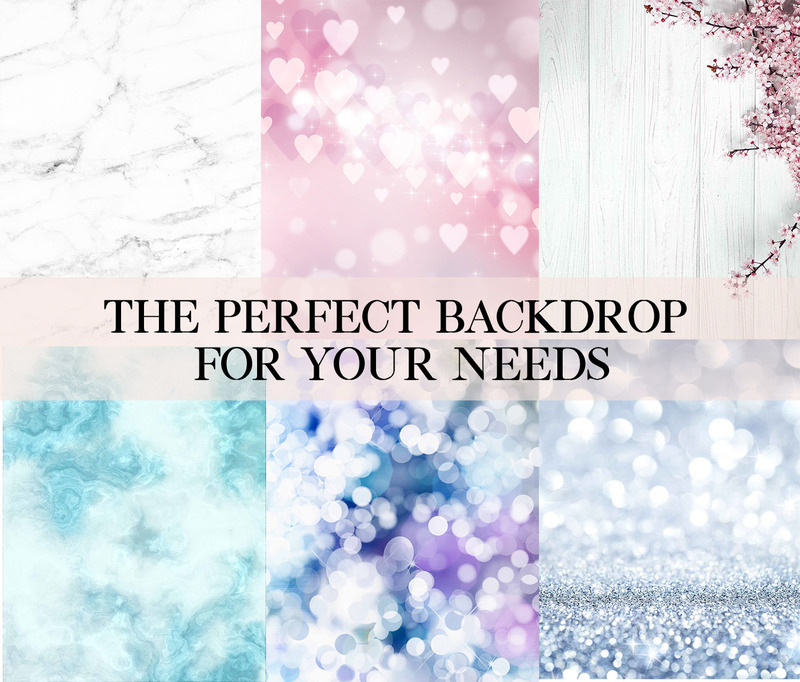 They offer an affordable selection of different backdrops meant for photographers (and of course, Youtubers). I checked their store and picked my favorite ones. Finding the perfect backdrop for all your videos and photos may not be the easiest task but it is a fun one. I love marble. Marble everything! And I was so happy when marble became the new craze. Everyone had something with a marble look, maybe a phone cover, a notepad, anything really! You can find anything from the classic black and white look, gray marbles and even pink marble backdrops! I mean, the pink one looks really interesting and I'm sure not everyone has a pink marble backdrop! And you know what is the best part? The backdrops are inexpensive as the starting price is only $20! Everyone has a glitter backdrop nowadays. Everyone and their mothers. But for some odd reason, I can't get enough of the glitter and even bokeh effect backdrops. You can find backdrops that look like spilled glitter or those that look like a mix of fairytale dust and glitter. I am a big fan of the cool-toned glitter backdrop which I think would be perfect for my Daily vlogs. And one I'd use for my Winter vlogs is the Winter sparkles one. It's amazing and I'm sure it would make my videos look so much cooler! One backdrop that is the most versatile and can be used even for food styling is definitely the wood backdrop. I would probably use the middle, colorful wood backdrops for my videos or maybe the white one as it's the most neutral and thus the less "in your face". But for photography, everything is allowed and can look good. I can already picture a lovely dish on a deep wooden backdrop used as a floor mat. Wood is especially lovely because it gives a warm feeling to any photography or video. Do you need to make your photos look cozy? No problem, just add a wooden backdrop! Do you use a backdrop? Let me know in the comments below which one is your favorite.